For somebody from Oakland to have the temerity to opine about New York, especially restaurants, well, I’m well aware that I am treading on some dangerous ground here. But if the New York Times can do a piece on 36-hours in Oakland, turn-about’s fair play. When we’ve seen these pieces about places we know, we often wonder – who wrote this stuff? In the 36 hours in Oakland piece, they feature a very expensive restaurant that we find pretensions and way over-priced. For years, the New York Times has had a jones for this place, featuring it more than a few times, which is beyond our understanding. The point is, this place is far from being representative of Oakland. So, I realize that by making suggestions, which I won’t presume to call recommendations, I’m showing some neck and I am hoping any New Yorker who reads this will be gentle in their comments and maybe just lend a guiding hand. Before the irate comments begin, I know that there are only two spots listed in Brooklyn, nothing on the East Side, nothing above 84th Street or below 44st Street, if you don’t count the oblique mention of Babbo in my earlier post, and certainly nothing in Queens, the Bronx or Staten Island. In the year-end piece in the New York Times on the best New York restaurants of 2015, they were excoriated, with a wonderful New York passion, in the digital edition comments, for their Manhattan-centric approach. 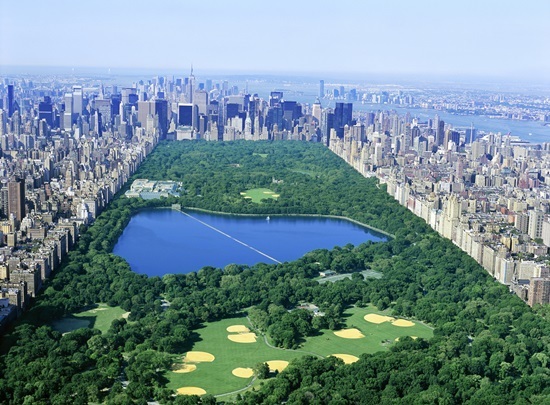 Our lame defense is that we love to stay near Central Park, and we have a very limited area that we have come to call “our neighborhood”. You can’t talk about New York without talking about food. 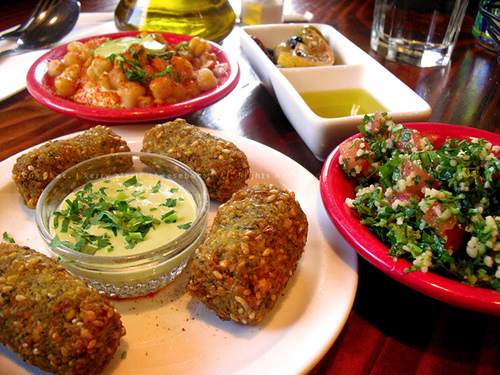 There are an infinite number of places to eat and a wide range of cuisines and prices. And there are an equal number of books and websites to research. The point is that there is certainly something for everybody and while New York is expensive, with a little work, you can have great meals on a budget, or you can splurge. We will leave reiews of the fancy cutting edge places to others. These are the places that we have come across over the years and really enjoy. If any place qualifies as our local, this is it. 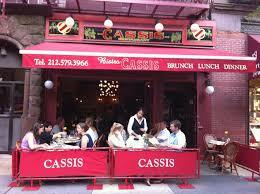 Cassis is a very traditional French neighborhood restaurant located on a relatively quiet block of Columbus Avenue. It’s very much like being in Paris, though why we would come to New York to try to be in Paris may be a good question. Most times we sit outside, at brunch, a classic French omelette and green salad or a Salad Nicoise or the caloric splurge of a Croque Monsieur. The dinner menu reads like any French cafe, angeau, sole, porc, canard, poulet, escargot, steak or ton tatatre and a concession to Americans, gratine de macaroni, which features french ham, peas and gruyere cheese. Inside they have a small bar at the front where locals sit and flirt with the hostess and bar tender. The dining room features dark wood paneling, framed mirrors, Paris themed posters; just what you would expect. The last time we were there the waiter told us how great a place this was to work; he had been there for 15 years. This is a more down to earth Italian neighborhood restaurant. A little loud, tables cheek on jowl, no reservations, but good and very Italian. 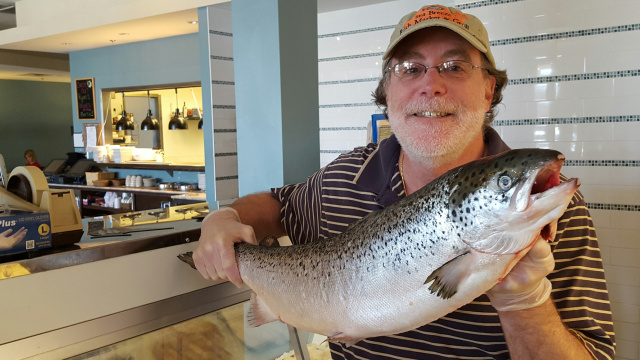 The owner greets us and is managing the busy dining room personally. He has this place and another restaurant in Rome. We met a couple about our age there as our tables were inches apart. She is a life long resident of the neighborhood; he is her new boyfriend who lives in New Jersey. We hit it off and had a long conversation. We ended up inviting them to visit us in Oakland. She also recommended Café Luxembourg on W 70th at Amsterdam. This is a locals recommendation but more expensive. We discovered Hummus Kitchen on 31st Street and 3rd Avenue on an epic walk from Central Park to Brooklyn described below. This is a simple place that serves perfect hummus with hot pita, shwarma, and a Mediterranean menu at a very reasonable price. This is simply very good. There is a double handful of other locations all over town. Great burgers. 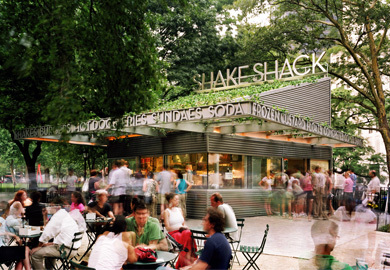 Shake Shack started out as a food cart in Madison Square by restaurateur Danny Meyer. It’s a re-imagining of the burger joint, and they nailed it. Very simple menu, and they even have beer and wine. They can often be crowded so maybe plan at off hours or late at night. We left the subway station at 57th Street and 7th Avenue Manhattan and jumped on the R local train. New Yorkers may confirm that this is the slowest train in the whole City. At one point, the train emptied out and we passed stations that I had never heard of. 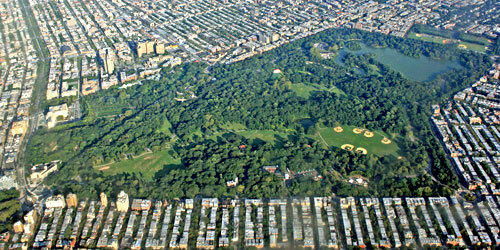 When we asked one of our few fellow travelers if we were near Prospect Park, she said, “I don’t have any idea. I don’t know this R train. Now the D train, that train, we’re tight,” as she threw here hands up. “But I don’t know about the R.” We finally arrived near Prospect Park. 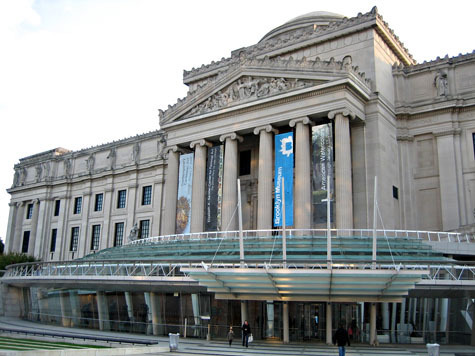 We made the long walk across the park to our destination, the Brooklyn Museum, which, as it turned out, was closed. But, making the best of the disappointment, next-door is the Brooklyn Botanical Garden, which was free that day, and has excellent bathrooms, an essential corilary to long ride on the R.
After a brief botanical garden visit, we walked down several blocks of wonderful brownstone houses in the Park Slope, wondering who these people were and whether we thought we could live here (if we could afford it, which we cant). We needed a rest and it was time for lunch. Nothing immediately presented itself but we saw two women going into a real estate office and thought. 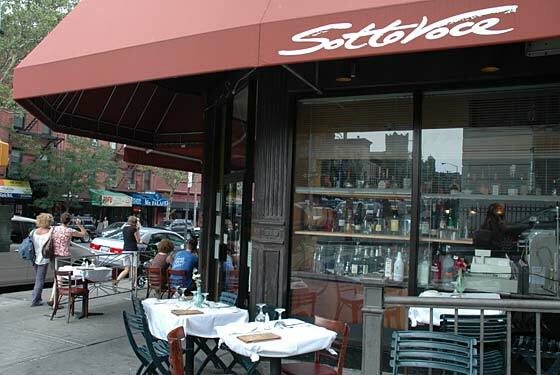 “These ladies would certainly know where we might find a quiet place for a leisurely late lunch and a glass of wine.” Sure enough, they recommended Sotto Voce, several blocks down the street. A nice relaxed Italian meal. Our waiter told us he came from Corelone in Sicily. Being huge Godfather fans, we were thrilled. He then said that his aunt had bought the Godfather’s house there. We were on our way to Shakespeare in the park and picked up two orders of chicken and rice from a street stand at Broadway and 61st. We knew we were in the right place as both of the people behind us were local college students. They were on a first name basis with the cart vendor. $10 for two and we brought our own $10 bottle of wine. We feasted in the park. 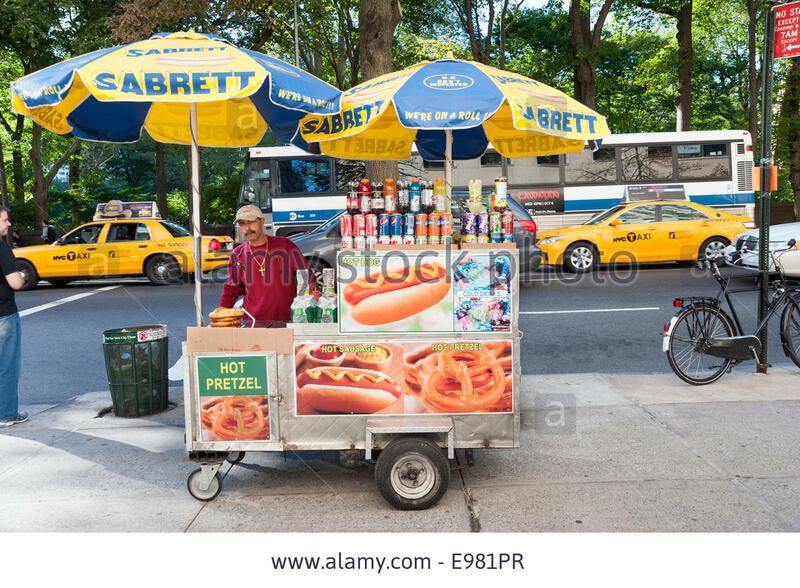 New York hot dogs are a special event. I can’t recommend them but never miss one or two when we visit. They are just a few bites and an emotional experience either bad or good. You make up your mind. If you’re in New York just for a few days it’s hard to justify cooking, with so many restaurants to visit, but we have recently been staying for a couple of weeks on our visit and we just don’t want to eat out every night. Cooking in is more like living in New York and it does keep the expenses down. We have even been able to have friends over for dinner. How local is that? While I might defer to New Yorkers on restaurants, I would match Bay Area Markets against New York any time. Quite brave, I know, to throw down the gauntlet like that. 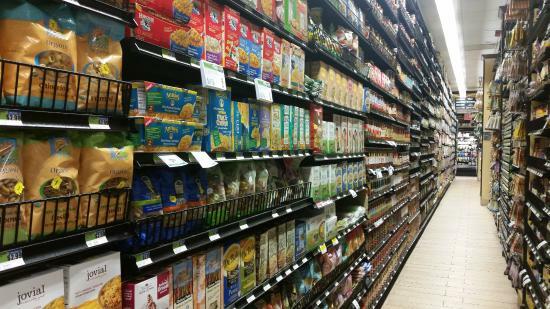 On the other hand, even for us, food shopping in New York is an event in itself. Here are the markets in Mid-town and the Upper West Side where we go. Zabars Broadway & Broadway & 80th Street. This is a New York institution. The ultimate Jewish Delicatessen that lives up to its reputation. Zabars also has a great catalogue and will ship anywhere. I once even shipped a cheese cake to my sister; they Fed Ex it in a package with a frozen plate in the bottom which stays cold for two days. Unfortunately, the office at the building where my sister lives took the delivery and somehow forgot to call her. Four days later the cheese cake was less than delectable. 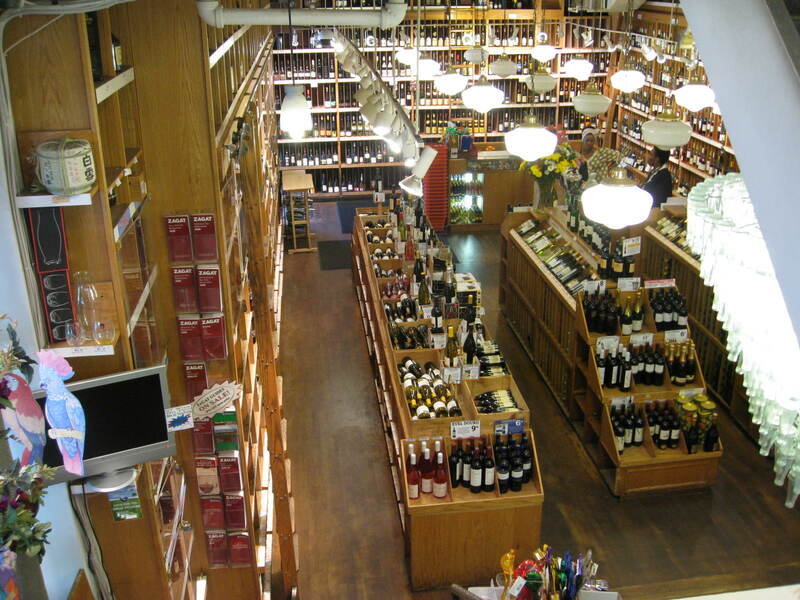 But if you take a little care you can share the wonder that is Zabars with family back home. 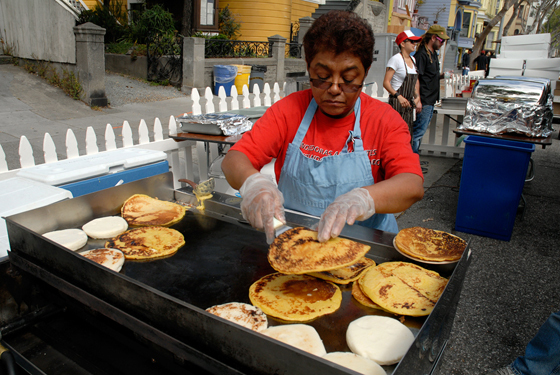 There are locations throughout the City. Like Zabars this is a real New York institution. They have everything and you will be lucky if you are within easy walking distance. 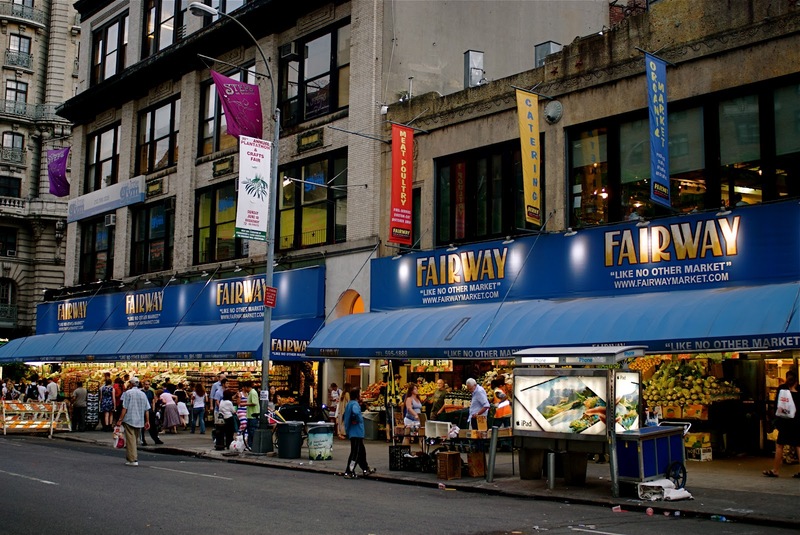 We found this market nearby when we just couldn’t face going to Whole Foods and Fairway was too long of a hike. Not so big as the others but a great second choice if it’s nearby. 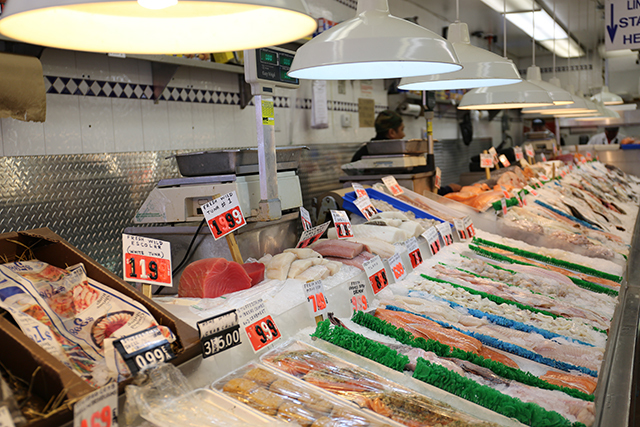 This is a no nonsense fish market. There’s no pretense. You walk in to find wide counters of ice filled with all sorts of fish, some cut in pieces, some whole beasts, and some I have never heard of before. Men in rubber aprons stand behind the counters and take care of you. Actually, “take care of you” is really more of a California concept. To my West Coast ears, they are pretty brusque and expect customers to know what the heck they’re doing. If you’re uncertain, you end up passed over. But the fish is so good, in the end, you don’t mind. This is a serious, we have everything, wine merchant. We are less than serious or at least not prepared to pay for serious wine very often. I found our customary under $9.00/bottle Cote de Rhone, Perin, tucked away in a rack upstairs in the back. When I walked in on my next visit, and made a beeline for my selection, one of the managers commented, “That’s such a good choice. Much better than most of the more expensive stuff we have downstairs.” He made no attempt at an up-sell. I felt that I had entered some kind on inner circle. If you have Whole Foods where you live, you know the scene, but a stop here is still a unique experience. You’ll find the store in a most unlikely location. 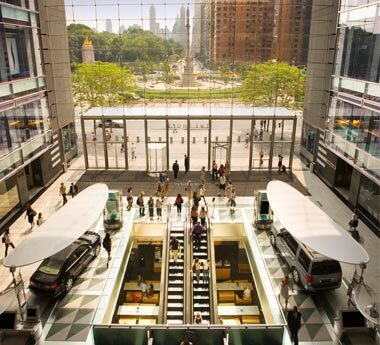 It’s in the lower level of a the Warner Center, a very high-end retail arcade where they are selling Teslas in the lobby and have the likes of Hugo Boss, Michael Kors and the very posh Mandarin Oriental Hotel. There are shops there I didn’t even know that I should be impressed by. At the end of the day the well heeled are rushing headlong collecting delectables for dinner. People are rushing down the narrow isles and there is precious little “oh please, after you”. No quarter asked and none given. There is certainly none of the laid back attitude that’s the hallmark of the Whole Foods corporate image. Customers lineup in long queues and are directed by ringing numbed displays to one of 40 checkers. I would guess that 80% of the customers are in the 10 and under queue. Everybody’s walking, so there is no shopping for the week. But then, who eats home more than a couple of meals a week in New York anyway? This is where grocery shopping meets Mad Max. It’s a massive facility and has all of the world’s art and history and culture. We’ve been many times and there are still things to discover. We visit favorites pieces and find new treasures. 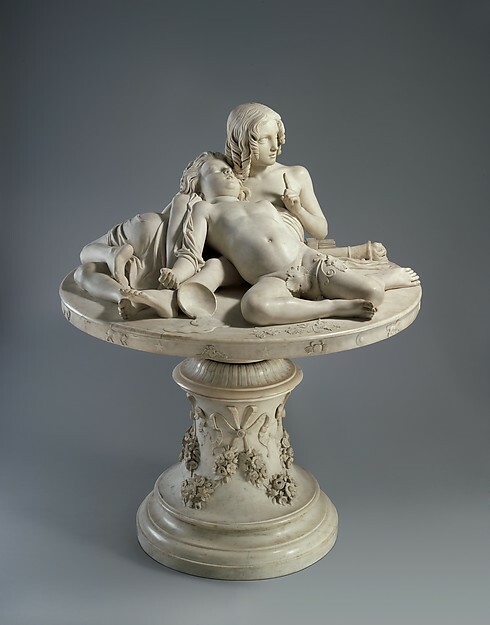 There is a piece called the Demidoff Table, a nineteenth century Italian sculpture that we always visit. “Stretched out upon the plan of the world is Cupid, god of generation, sustaining and watching over the symbolic genius of dissolute wealth without virtue, who snores in his sleep . . . dreaming of past diversions in pleasure.” The way that Bartolini can make marble seem liked spilled milk is wonderful. Much of the collection is catalogued on line. The added attraction of this piece is that it is just steps away from one of the excellent cafés and our mid-museum-crawl break. 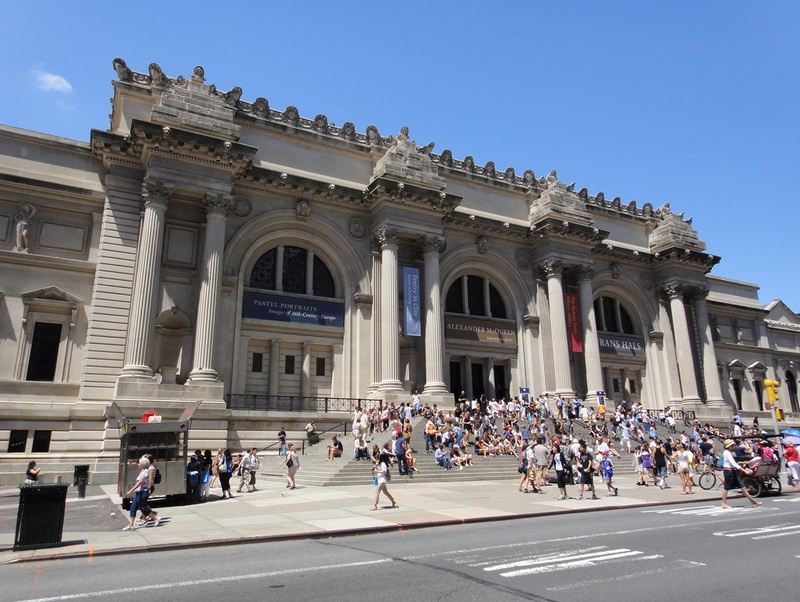 The admission to the Met is suggested at $17 but it’s pay-what-you-can. We like to support the Museum so instead of trying to figure out what to pay each visit we bought an annual membership last year. That’s equivalent to two visits and you get the added benefit of almost infinite emails and the privilege of going to the members dining room. Now we imagined that the members dining room would be a super cool exclusive place. In fact is was a little disappointing, a little stogy, with so-so expensive food. The Met has recently taken over the old Whitney Museum on the Upper East Side, now the Met Breuer. which moved down to the Meat Packing District at the southern terminus of the High Line (see below), to house their modern art. But there are so many more Museums. The Whitney, the Guggenheim, MOMA, Cooper Hewitt, the Frick, and many more. But I’ll mention a few out of the way places that we stumbled across while on long walks. 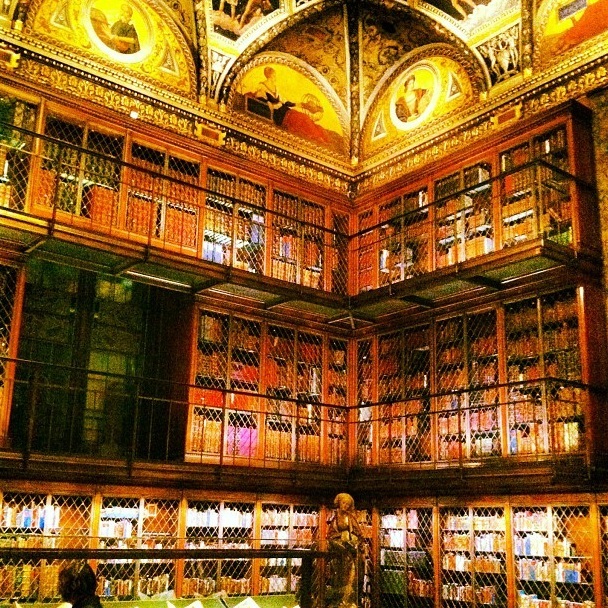 What impresses me most about the Morgan isn’t the museum; it’s the old house with Morgan’s private office and his personal library. Whether your politics allow you to love and admire the Robber Barons or compels you to love to hate them and what they stand for, there is something about standing in Morgan’s domain. As much as the objects and artifacts are engaging, what I find fascinating is the opportunity to soak in some of what it would be like to be around so much power. 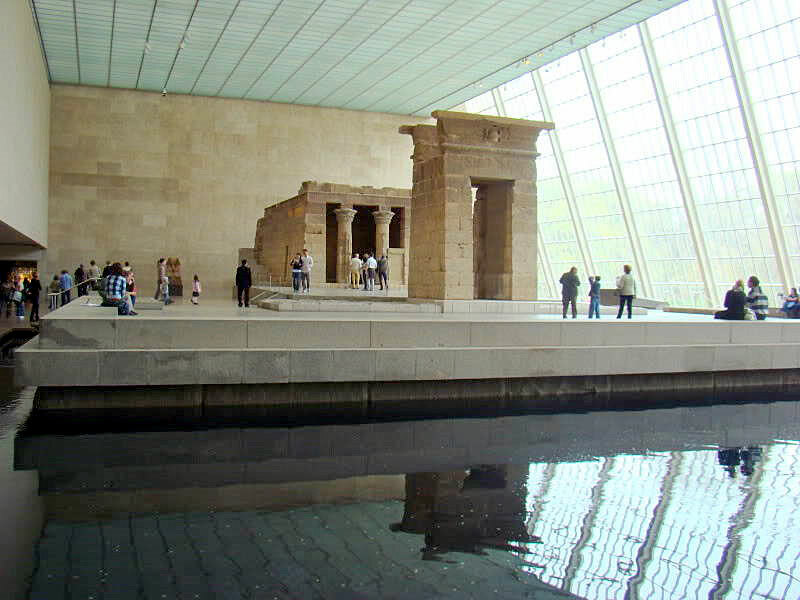 As I got a little too close to one or the other artifacts and was sharply chastised by the very strict guards, it made me feel like a misbehaving nephew waiting for a command performance from my rich uncle, hoping that, by the end of the afternoon, my inheritance would still be intact. 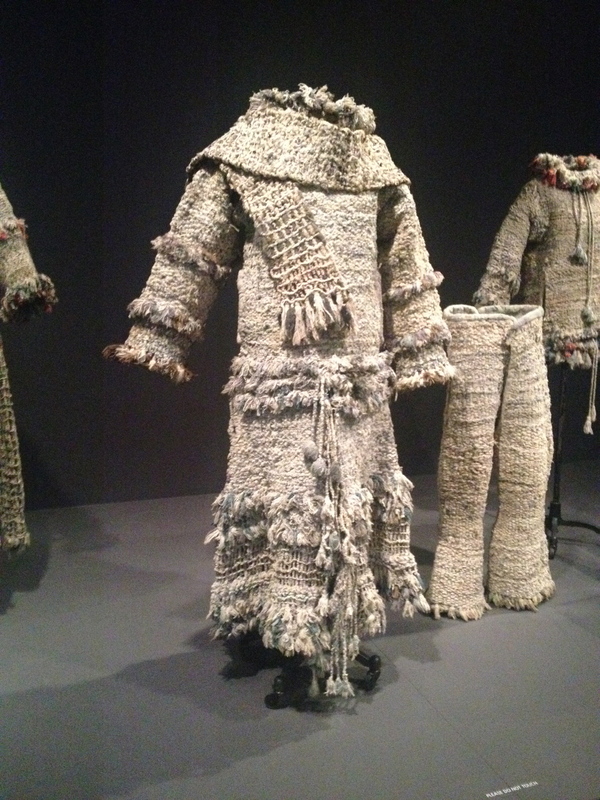 In 2015 they had an exhibit of the works of people, not trained artists, who made objects or did impromptu performances that exhibited the intersection of art, fantasy and mental illness. There was music in the lobby. We live in Oakland California and I had been thwarted, searching through local resources in my curiosity about what our neighborhood was like before the freeway was built nearby. 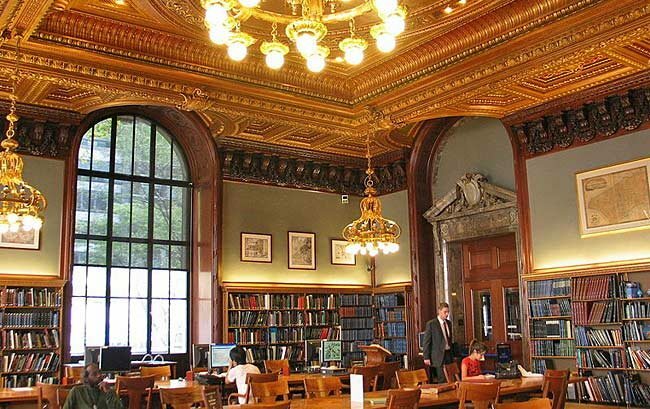 So here I am sitting in this wonderful room that houses The Map Room of the New York Public Library, 3,000 miles from Oakland. This place is open to the public, not just researchers and, of course, they had just the map, actually several maps. They even brought out actual paper maps to look at and actually touch. This is an extraordinary resource. I haven’t even begun to tap this source and now, more and more, it’s available on line. We have been renting apartments rather than hotels for 15 years, before Airbnb was a gleam in anybody’s eye. The way offerings are shown at each destination has its own code. For seaside destinations, “steps from the beach” could mean Kansas City. Oceanview, rather than Oceanfront could be just a peak, a long way from the water and if the view isn’t mentioned, it could be parking lot, or even dumpster view. Pictures of “the area” means that there isn’t any view at all. 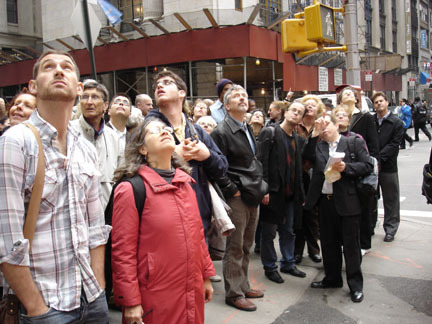 New York is no different, but has its own special codes. 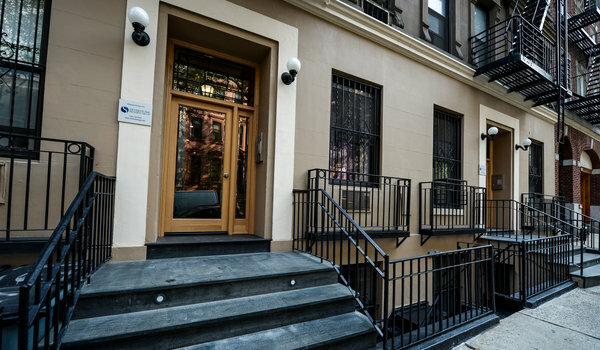 If you aren’t experienced with New York, you may not understand that people there live in really small places that cost a whole lot more than you’re used to. We get the same rent for our 2,800 sf, three-bedroom home in Oakland as we pay for a nice one bedroom flat in New York. Garden Apartment – While there almost certainly is a garden in the back, this is a basement unit, usually half or even a full level below the street. 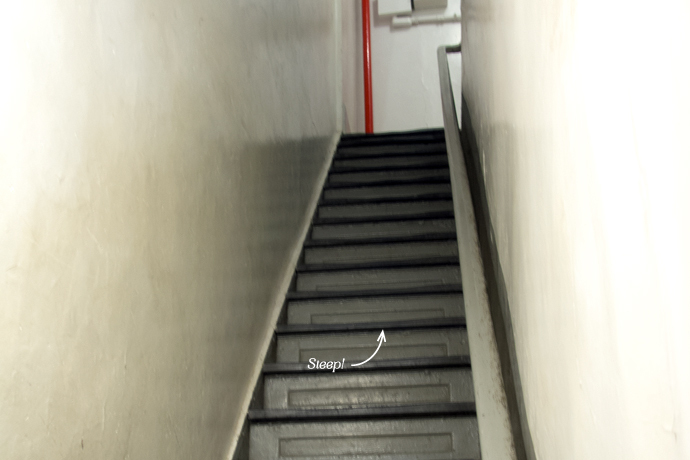 The entrances are often down a narrow stair, past the trash bins and those ominous foot long plastic boxes with holes in each end for trapping equally large rats. 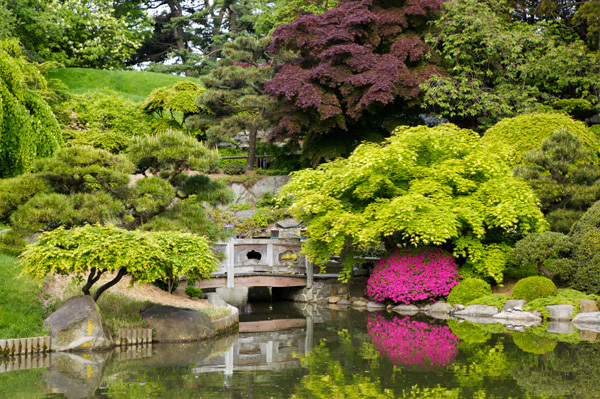 The garden is in the center of the block, surrounded by four or five-story buildings, or even more. There’s almost never any direct sun, though this may be perfect on a hot summer day or night. We’ve stayed in good ones and not so. 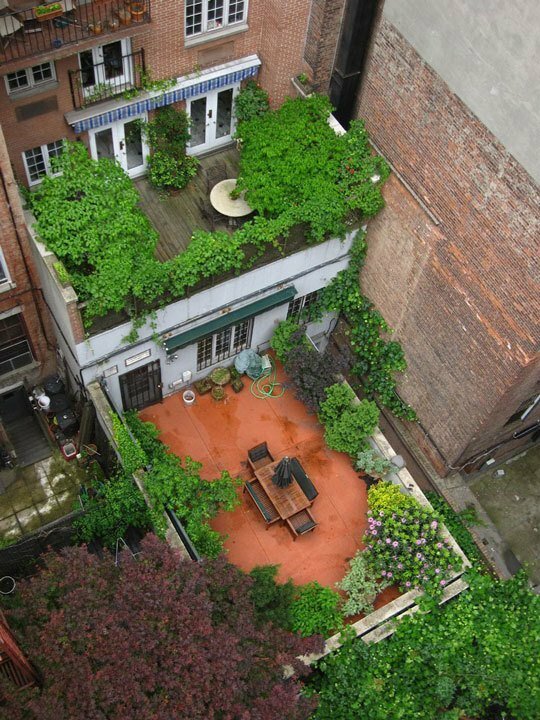 Historic Brownstone with roof deck – Now this involves two codes. 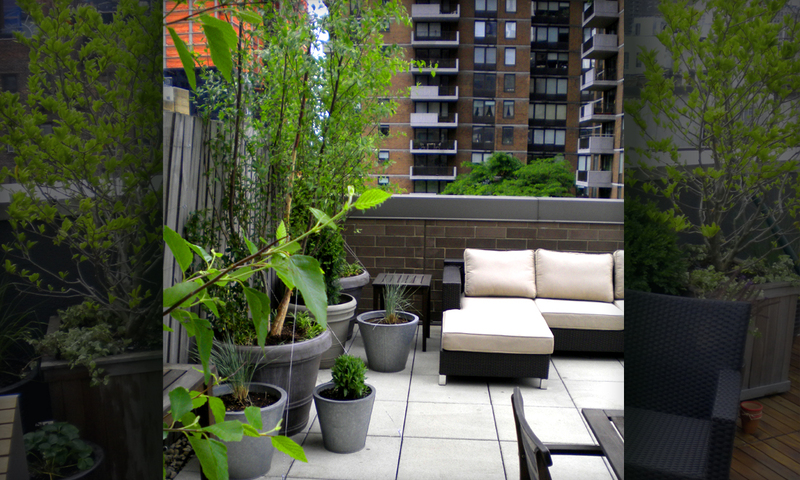 Roof decks are great but remember that this means that you are on the fourth floor or even higher. Historic is code for no elevator. We’ve done this thinking, “How hard can it be, we’re fit.” Each day it seems like a longer climb, just don’t forget to buy the milk. The tiny bedroom – If they don’t show the full view of the bed, that’s probably because the bedroom is so small that the bed is pushed up aginst one wall. If you are staying alone that might be OK but we tire of climbing over each other in the middle of the night and not having a bedside table or reading light. The older we get the more we walk, so far so good. We see so much by just walking. We used to take cabs but that’s rarely needed if you use a Metro Card and figure out the subways and bus routes. Central Park. I won’t try to describe Central Park there are so many sources for that. We always try to stay no more than a few blocks from the park and go there almost every day, even if just for a bit of exercise. The High Line. The High Line was an abandoned elevated rail line that runs on the West Side from 11th Avenue and 34th Street 23 blocks, south to 11th Street in the old Meatpacking district. It terminates at the new Whitney museum. This relic of ninteenth century transportation has been transformed into a fascinating pedestrian route with art and gardens and views of the City and the Hudson River. 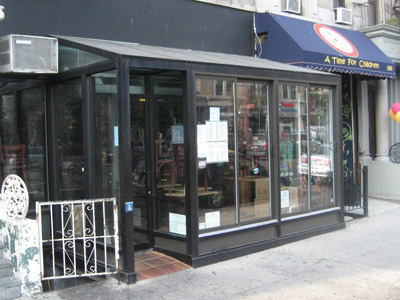 This artifact is something that might have simply been demolished and forgotten but a small group of New Yorkers had a dream that has become an event and a New York landmark. We first visited when it was just beginning, hardly anything at all, and it’s still a work in progress. Construction has just begun on Hudson Yards a 28-acre development planned over the Penn Station rail yards that will connect to the High line. 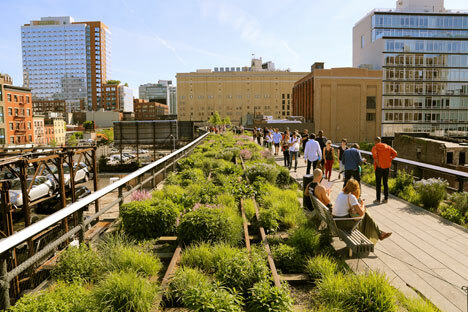 The HIgh Line has become terificily popular. On weekends it is packied from end to end and not as enjoyable as it was when less crowded. Try weekdays. 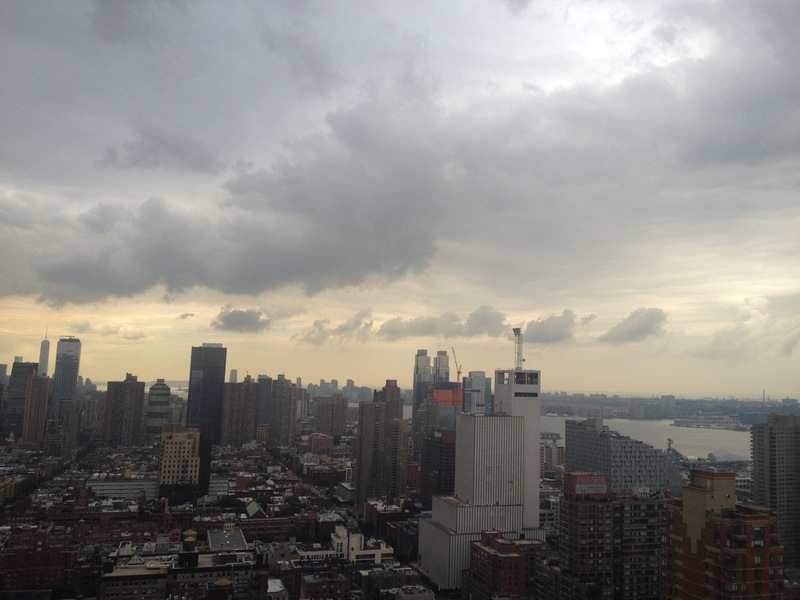 We were staying near Columbus Circle on the 35th floor of a building with a view of the Hudson. It was just before noon and we had a dinner date with our nephew at 7:00 that evening at Aita a small Brooklyn restaurant. That’s at least 12 miles away so we set off on foot with no particular expectations of what the journey might entail. We walked through Columbus Circle and went into the Central Park. When we approached the east side, we came across a gate in a fence that surrounds the 4-acre Hallett Nature Sanctuary, a place that we had never even noticed before. We’d not seen it before because nobody had seen it before. The Sanctuary had been untouched and closed to the public since 1934. A restoration project was started in 2001 and only since 2013 has there been even very limited access. Their goal is to try to recreate the natural environment of Manhattan Island before colonists lived there. The docents were helpful and clearly excited to show off their domain. We had stumbled on to this rare treasure on one of the few times that it’s open. I have since looked on the park website to find the schedule but it seems to be a carefully guarded secret, but a couple of tourists from California got lucky. Refreshed we went on our way, heading for the Brooklyn Bridge. 3rd turns into Bowery and we still had 60 blocks to go. We passed through lots of neighborhoods; down at heel neighborhoods, hip and then hipper neighborhoods, the kitchen equipment district, and more special enclaves than I can remember. We had been asked by a friend to get some very obscure art supplies that were only available at New York Central Art Supply at 3rd and 62 Street, the ultimate art store, sadly closed after 100 years but reincarnated as Jerry’s NYC Central. Not fancy or very big but they had everything a serious artist could want. (Sadly Central Art Suppy was forced to close September 2016, the building was sold.) 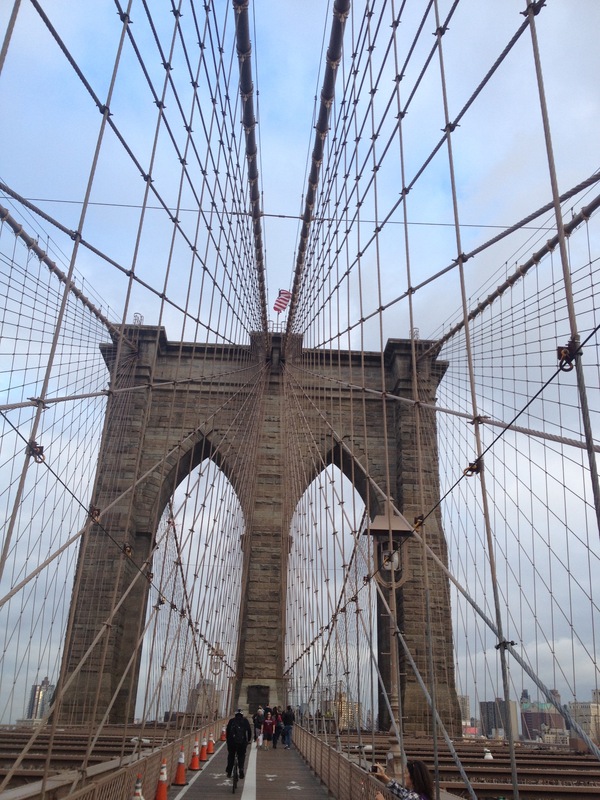 We found City Hall, One Police Plaza and eventually found our way on to the Brooklyn Bridge. The bridge itself is over a mile long. The pedestrian path rises from the Manhattan side over the traffic. The views are great. 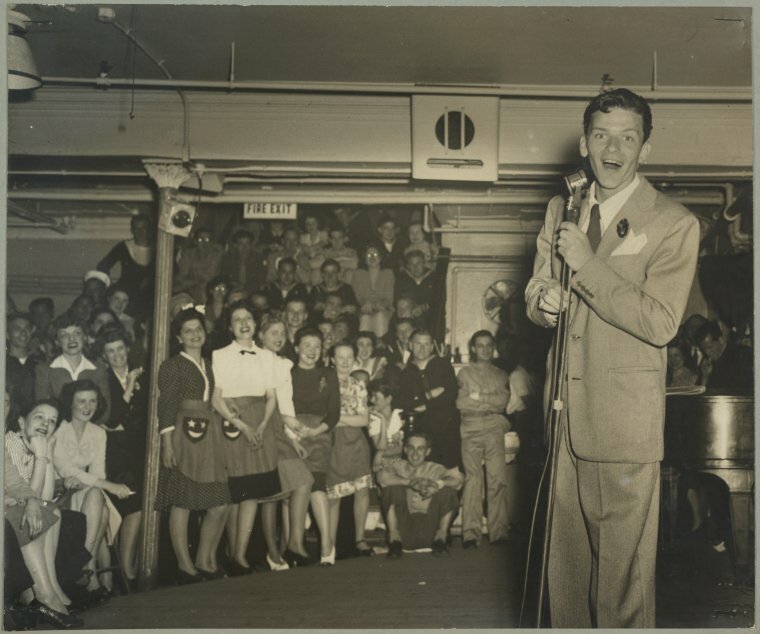 I’m sure the regular travlers would regale you with tails of the changing show as the days and seasons progress. “You should have been here yesterday.” The walkway is crowded with pedestrians and bicyclists, both dawdling amateurs and speeding regular commuters. The tradition, that I think began in Paris, of attaching a love lock to a public bridge, is in full flower here, though, as in Paris, it may have gotten out of control. We finally landed in Brooklyn. I’m not sure there is a good transition from the bridge to anywhere in Brooklyn that you would want to stroll through. By now, the fun factor had faded and we were trudging under highway overpasses and a bleak landscape. 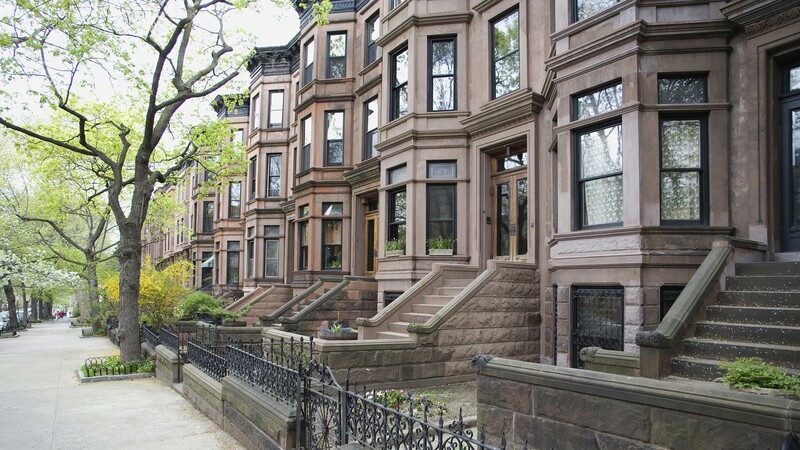 We finally found our way to the Clinton Hill neighborhood. This looked like a delightful area, but by now we were exhausted and the salutary effects of Hummus Kitchen had completely left us. So, we plodded on. Mr. Google maps told us that we were still on track and if we kept up our brisk pace, we would just make it, and we did, seven hours after we started. We sat down at Aita, our nephew joined us and we had a very nice meal and a long chat. After dinner, we had to walk more blocks than we wanted to get to the subway, and headed home.